Magic of Motown comes to Cardiff! Celebrating 50 years of UK number one hit singles, the Magic of Motown brings its brand-new 2015 REACH OUT® Tour to town. Songs like Dancing in the Street, My Girl, Where Did Our Love Go, My Guy and Baby Love rocketed Motown to the top of the singles charts in 1964, says show producer Michael Taylor. 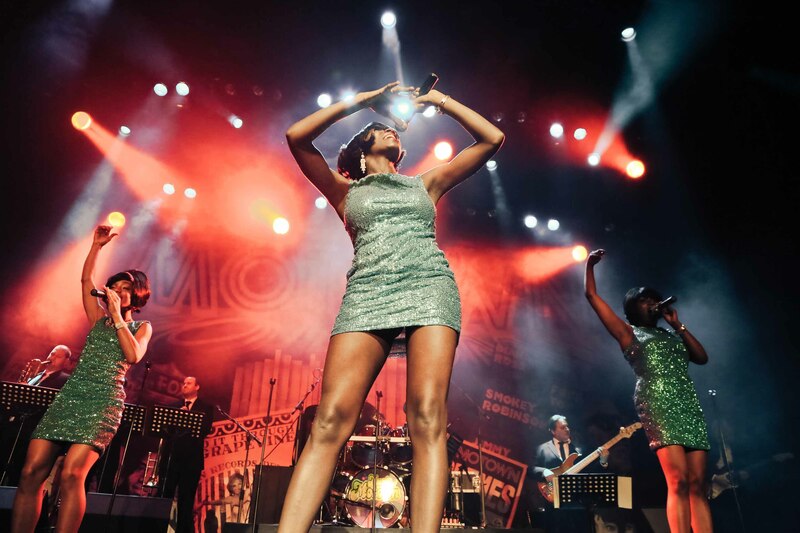 Direct from the USA, The Magic of Motown promises five-star performances that will authentically revive the style and sophistication of everyone’s favourite Motown legends. “This year we’re proud to announce that the show will include more number one hits than ever before,” says Michael. Classic hits from the Temptations, Four Tops, Jackson 5, Stevie Wonder, Marvin Gaye, Lionel Richie and The Supremes are packed into the two-hour spectacular. The group, especially put together for the show, celebrate their tenth year together on this tour. In 1964 Motown crossed the Atlantic to become a musical phenomenon on these shores. The labels’ touring concert show, the Motown Revue starring Smokey Robinson and the Miracles, the Temptations, Martha Reeves and the Vandellas, (Little) Stevie Wonder and Diana Ross and the Supremes, paved the way for Motown’s chart-storming success in the UK. That year the UK singles charts were peppered with Motown songs. To mark the occasion, The Magic of Motown brings an all-new production for 2015 to the stage with a 100-date nationwide tour. Male lead in the show Andre Lejaune promises many new numbers added to the show’s already hit-packed score. The Magic of Motown revives all-time favourites like: Stop in the Name of Love; Dancing in the Street; My Guy; Ain’t No Mountain High Enough; This Old Heart of Mine; I Heard it Through the Grapevine; Endless Love; All Night Long; Heatwave; I’m Coming Out; Why Do Fools Fall in Love; Get Ready; Ain’t Too Proud to Beg; My Girl; I Want You Back; I’ll Be There; Uptight (Everything’s Alright); How Sweet it Is and of course Baby Love. “Sixties classics give way to present-day masterpieces from Lionel Richie and Diana Ross,” says show producer Michael Taylor. “Sadly, many of the original Motown legends are either no longer with us or no longer touring. The Magic of Motown is the nearest you’ll get to authentically capturing their incredible musical legacy in a live show. Equal care is taken to reproduce the original look of the Motown stars on stage. It was not just the music that set Berry’s signings apart from all other hit singers of the time. For mass market appeal, artistes’ images were carefully controlled from dress and choreography, right down to their manners. With the production presenting so many shows this coming year, Michael says there will be “nowhere to run, nowhere to hide” to keep you away from the Magic of Motown in 2015.